Pixxel Arts Animation & Visual Effects is a versatile conglomerate with a focus on providing high end media and Entertainment training & related services. Started in 2010 by a team of management and technical evangelists with over ten years of experience in the Animation & Visual effects production & training domain, Pixxel Arts offers a wide array of training programs aimed at producing high quality trained manpower to fuel lndia's Media & Entertainment industry. At Pixxel Arts, our core competence and industry experience has allowed us to expand our service domain to offer a wide array of services across multiple verticals such as career specialization courses in Animation, Visual Effects and Film Making, Web Designing including Civil and Mechanical Courses Also. In a market that is saturated by animation training providers, Pixxel Arts brings fresh energy and innovation and a commitment to quality that is unparalleled. Our objective to venture into training and education stems from our years of industry experience coupled with extensive research and analysis of various trends which were affecting animation training quality in the country. Our research dictated the need to single out skills during training to create techno-artistes and specialists. This led to the development of India's first ever skill set specialization based program which enables a student to pursue his domain of interest and develop a strong skill around it. This also meant that students not only perform better but strive to perfect their skill and become specialists. Our specialization training curriculum has been carefully designed with a global perspective in mind and offers the latest in technology and technique. Media is an extensive form which cannot be measured or calculated. Its mighty sphere is spread and surrounded the Universe, Using more than one medium of expression in an artistic way. The combination of Audio, Video, animation, still images converting into motion footages, visual communication the art of styling an image and different content combines into Multimedia. Multimedia means that computer information that can be represented through audio, video, and animation in addition to traditional media i.e., text, graphics drawings, and images. Multimedia is divided into modules like Graphic Designing, Visual Effects, 3D animation, Web Designing and film editing. With the help of graphical designs and giving a magnificent effects and projecting it in 3D view and finally advertising it in the Web. Complete actions of course is provided by Pixxel Arts to make our students a complete versatile. Animation in the earlier stages was developed with the help of Flip book that is hand-drawn as the process used for most animated films of the 20th century. The individual frames of a traditionally animated film are photographs of drawings that are first drawn on paper. To create the illusion of movement, each drawing differs slightly from the one before it and that was called as 2D animation, then came the Stop Motion Animation which was like used to describe animation created by physically manipulating real-world objects and photographing them one frame of film at a time to create the illusion of movement like Puppet Shows. Then comes the real competitive animation 3D animation. 3D animation is completely digitalized and modeled and transformed by the animators. 3D stands for “3dimentional” mesh software. 3D animation comprises of 9modules out of which character modeling, UV texturing, Character rigging 3d advanced, character animation,Steroscope 3D are very much important aspects. The advantage of being a 3D animator is like having a Successful career in the fields like animation film production studios, Gaming companies, television channels, Multi designing companies, and all these opportunities of choosing respective field companies and placing the student in very prominent company is Pixxel Arts Promise. Virtual World is known as Visual Effects in short VFX or Visual FX. Creating an imaginary world manipulating the live action shot is possible only in VFX. Visual Effects is based with live action footage and generated into an imaginary heights and which looks realistic impractical, simply impossible to capture on film. Visual Effects advanced is a combination of 3D advanced and compositing. As VFX is high-end creative program with multiple modules and software’s. Its modules are vast like theoretical comes of Concepts of compositing and practical of rotoscopy, mattes/ channels, Color correction, match moving, Camera Tracking, 3Dcompositing, Tracking/stabilization, which is used for video movements to stabilize and paint/rig removals, Blue/green screen keying which enables us to keep any kind of imaginary background and Film compositing in 2K/4k which is of 2,000 pixel resolution in the movie projection industry, Digital Cinema Initiatives is the dominant 2K standard. And 4K is of high resolution of 4,000 pixels which is used by ultra high definition television as its 4K standard. High definition quality view i.e. 2K and 4k of 1080 and conversion of 4k Ultra HD a resolution of 3840 pixels × 2160 horizontal and vertical resolution of the 1080p HDTV format, with four times as many pixels. Software’s intricated for creating Visual Effects is adobe Photoshop, adobe after effects, Silhouette and mocha, Eyon Fusion for tracking, Pf track, Foundry Nuke, Dynamics FX for the Smokey effect. To make your career a golden path Visual effect is useful in television channels, Movie making, Production houses, Advertisement sections, 3D cinemascope view. The complete learning and converting of high definition resolutions and providing a complete value to the VFX student is brought to you by Pixxel Arts. Photoshop, HTML, CSS, Java Script, Dreamweaver, Flash and Action Script are the most important ingredients in making Web Designing complete. From a small-scale compact proprietor to colossal corporative houses, companies or establishments, name as the way, depend on Web Designing for broadcasting and exhibiting their company. Pixxel Arts teaches complete Web Designing in such Corporative and to a great Vertical Extent. Here with Photoshop we train to design the high quality Logos, Broachers, Magazine designing which helps to build a creative era in the appreciable companies. The required coding of HTML, CSS, Java Script to build a Striking website which will be an eye-catching to the web users and finally followed by Dreamweaver which hosts all the actions performed into very alluring layout and making a seconds animation to enhance the website more enticing. The practical mixture and making of a beautiful website fetches a very good fortune by building the career of students nationally and internationally in the bailiwick like Advertising agencies, graphic Design Studios, e-learning companies, Website Development studios. And can specialize in the interests fields like Flash animator, Web designer, Graphic designer and Layout Designer. Pixxel Arts has already gained a reputation within the industry for focusing more on quality than on quantity. 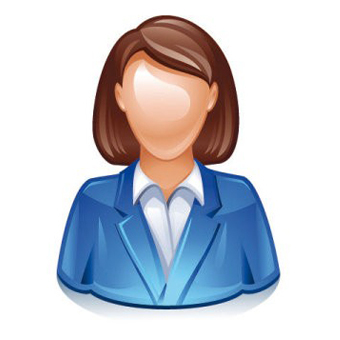 All courses are capped at 12 students per class, assuring students of personalized training. Pixxel Arts is not just any other Media & Entertainment training brand. 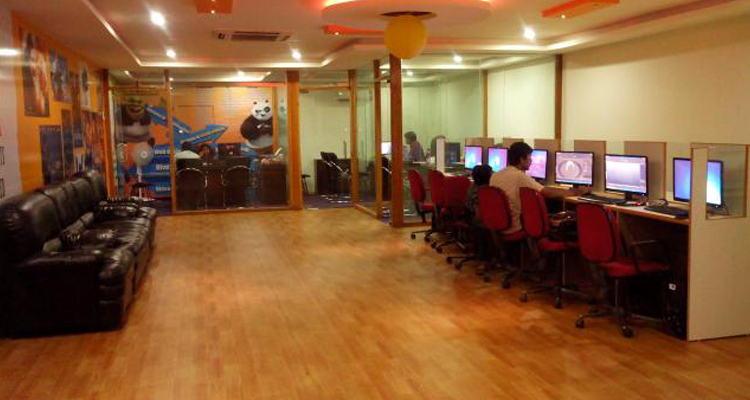 We invite you to visit our Pixxel Arts training studio and be a part of this exciting and animated industry. Pixxel Arts faculty consists of experienced professionals from within its production department. Students are taught not just by professors but also by industry experts willing to share their expertise and experience. Sridhar a Bachelor of Fine Arts, is known for his perfection and command over the subject of post production & visual effects. 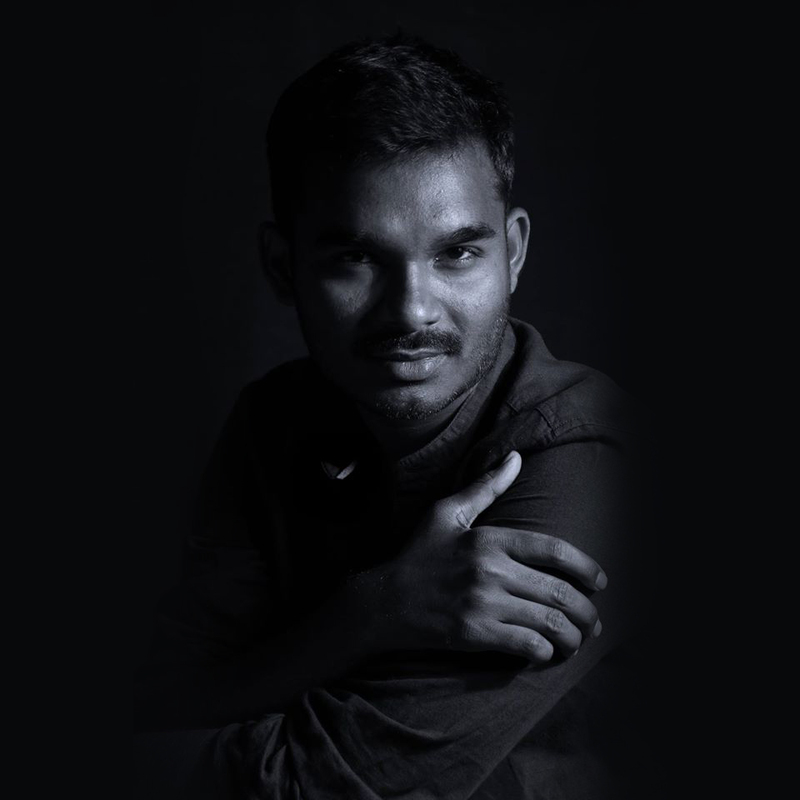 With his immense knowledge and extreme versatility, With experience of 10 Years, Today, his students are employed with all the major visual effects studios across country. 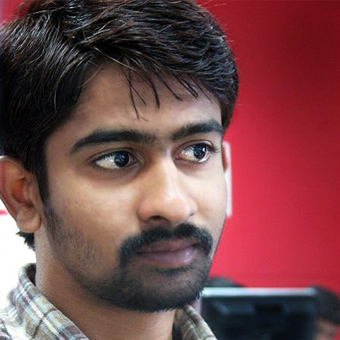 Lakshi kanth with a versatile experience of more than 9 years Production Experience in computer graphics, specializes in Character Animation, Vfx and advertising agencies in reputed companies like Technicolor Pvt.Ltd, Dq Entertainment Pvt.Ltd, Savant Ads Pvt.Ltd. His work can be seen in various 3D projects and live Movies and Ad Promotional Campaigns. He calls technology as his second love, Animation being the first one. Manikanta has been involved with the 2D and 3D industry since the past 6 years. His area of expertise lies in fields such as 3D Animation, Modeling and Texturing. In the past, he has gained experience in animation by working with acclaimed studios such as DQ Entertainment Pvt. Ltd. At present, he is a respected faculty member working as a Animation and Modeling Expert who uses his technical expertise and knowledge to help students compete with global standards of quality. Tapan Kumar Mandal is a passionate trainer and motivator, He is self-actuated and technically skilled designing Artist. His enthusiasm for learning compliments his passion for training. With a work experience of over 15+ years, he provides the best of training and production. At Pixxel Arts, his areas of expertise are Graphic design and Vfx, curriculum design and mentoring. 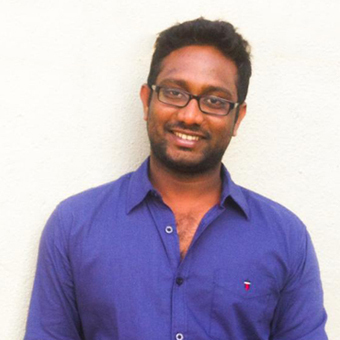 Sudhakar Reddy is a dedicated WEB DESIGN & UI Development faculty at Pixxel Arts. 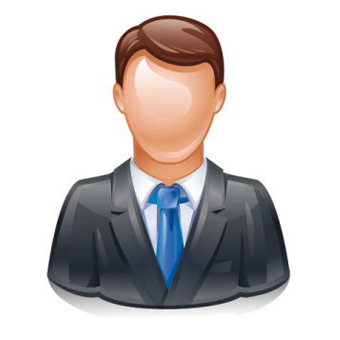 He is a faculty with extensive and rich experience in web designing, web development and website maintenance. He is a highly experienced professional web design faculty with 9+ years of teaching and training experience and 9+ years of development. With both the teaching and practical experience on hand, you can expect real quality work. He has the expertise in clarifying doubts. He helps the students learn and makes it fun to learn. He shares real time knowledge, experience, tips and a very effective way to use the technologies in real time. 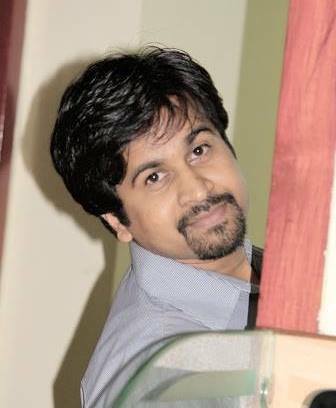 He mentors the students in the developing of stunning and catchy websites. He provides quality instruction to students through well-prepared classes, relevant assignments, fair and holistic assessment of learning and support of the academic success for students. Mr. Srinivas, a , has worked in few Animation production Companies before his interest in Architecture and Interior Designing , Machine Designing led him into the world of CAD/CAM . He has International experiance worked in africa as a faculty in engineering collage in CAD Department.Today As an Senoir Facutly at Pixxel Arts of Engineering Courses he trains on Engineering softwares Autodesk Revit,Autocad, Archicad,Uni Graphics, Pro E, Catia, Solid works, as well as leads the Interior Designing Training Programs. Praveen babu is highly experienced, versatile, and talented Artist in VFX and dynamic who is exceptional at building high quality assets with correct deformation and exact reconstruction to reference materials concept design. Honed creative talent in building a wide range of assets. He training up new students and documenting the VFX / Dynamics pipeline and art style guide. Assigning and managing tasks and bugs within the VFX / Dynamics department. All our students have access to the latest, cutting edge VFX hardware and software. 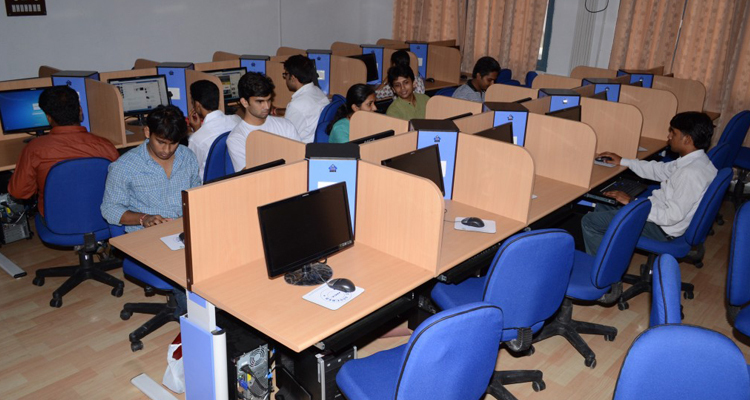 Each student is provided a Workstation, along with the latest software programs, right at the beginning of every course. In Hyderabad, we have three classrooms (with 15 and 20 seats) which have aesthetic interiors, air-conditioning and high-resolution projectors. We also have a lab with 30 Intel workstations with the latest 3D and compositing software like Autodesk Maya and Eyeon Fusion & Nuke. When students are taught a particular course and software—for instance Autodesk Maya for 3D Animation—they are exposed to multiple trainers and professors, each an expert in different modules. This gives students a holistic view and knowledge of the software.